Today I want to talk about an other Autumn-Winter 2011/12 fashion trend: Mustard! It's a warm colour that reminds us of falling leaves hues so it's perfect for this cold season. Maybe a lot of you will find hard to wear this particular colour but there's a wide choise of hues, from the strongest to the softest, so don't forget to try every piece on ( I know it might be really boring) and decide which fits better with your skin tone. Moreover, I would suggest you to pair this colour with warm colours as brown or dark orange. Personally I thought to try pairing mustard with a strong wine colour, what do you think? E' un colore caldo che ricorda le tonalità delle foglie che cadono, quindi perfetto per questa fredda stagione. Forse molti di voi troverà difficoltà ad insossare un colore così particolare ma c'è una vasta gamma di tonalità dello stesso colore, dalla più scura alla più chiara, quindi non dimenticate di provare ogni opzione ( so che potrebbe risultare noioso ) così che possiate rendervi conto di quale tonalità si sposi meglio con il vostro colore di pelle. personalmente avevo pensato di provare ad abbinarlo con un color Vino molto scuro, cosa ne pensate? And so? Have you chosen your mustard piece? Let me know Allora? 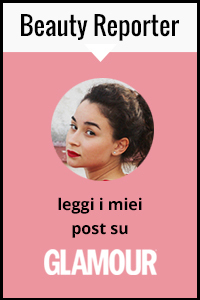 ho scoperto x caso il tuo blog! complimenti! belle foto! Colgo l'occasione x invitarti nel mio! ti aspetto! Mustard looks so great especially the last dress. Mustard is such a great fall color! Love those choices that you made! HI !! your blog is simply wonderfull ! I opened one too... I would be very happy if you would visit and follow it ! I think this color can be paired with almost anything! Love it. bellissimo colore e dona un po' a tutte. we were talking about mustard in my trend class today! Mustard is my absolute favorite color and I love that it's so on trend right now! lol, u should check my blog.. i was just posting my MUSTARD MAXI DRESS... mustard is amazinng! I already have some mustard items in my wardrobe...love it! I love the mustard blouse with animals on it!! :) gorgeous! Sono spagnola pero parlo un poco di italiano!! This color is fantastic ! Non conoscevo il tuo blog ma ora che l'ho scoperto,mi iscrivo volentieri..e' carinissimo e mi piace davvero!!! !Se vuoi dare un'occhiata al mio spazio,le porte sono aperte: qui! We love the color. It would look fab with a dress. Kirsten Dunst just looks so lovely.